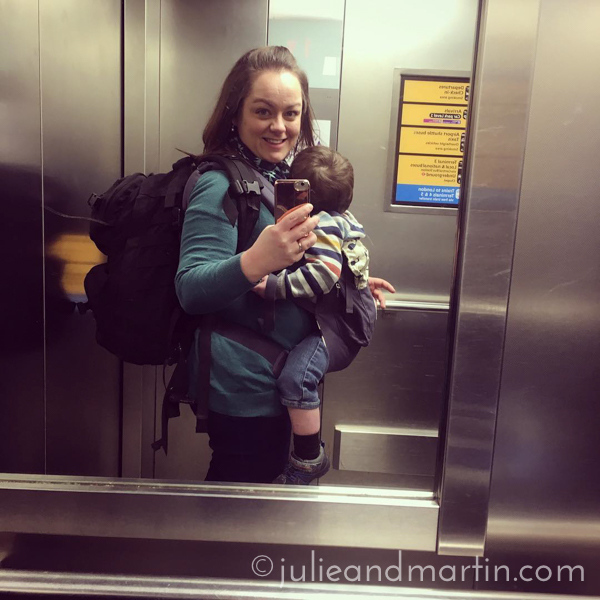 I got to skip the massive non-EU customs line, and go thru the very short EU line since Junior travels with his German passport. Don’t know how long that will last, but I will enjoy it while I can! 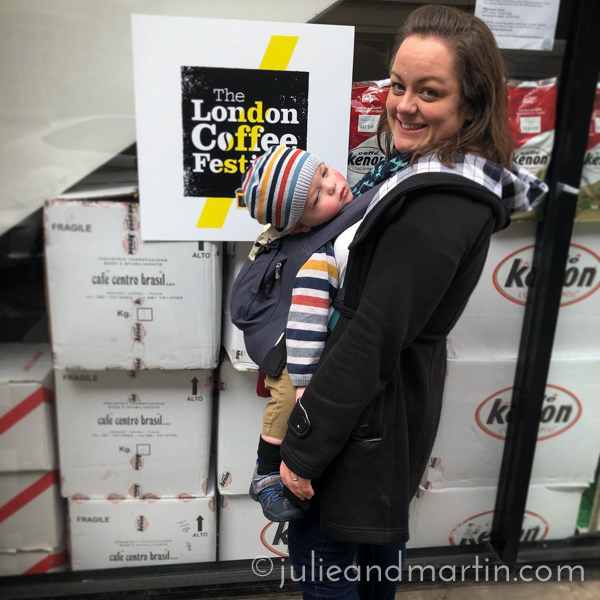 7:29 p.m. – Our morning began at 5 am, so it made sense to visit the London Coffee Festival. Look at my boy. Someone get him some espresso STAT! 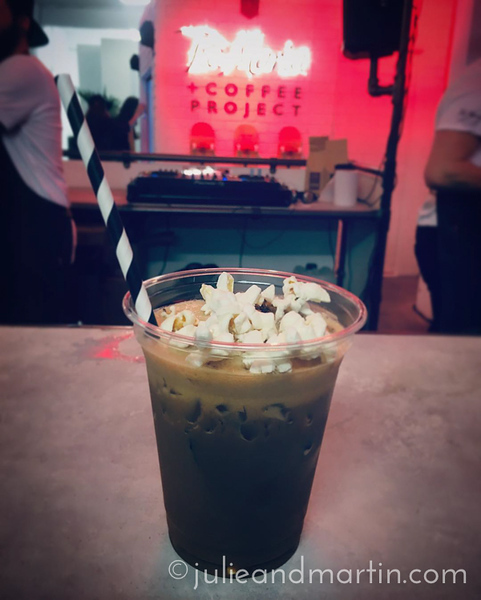 8:14 p.m. – It’s called a popcorn frappe, made with Tia Maria, espresso, milk, and popcorn syrup. Delicious. 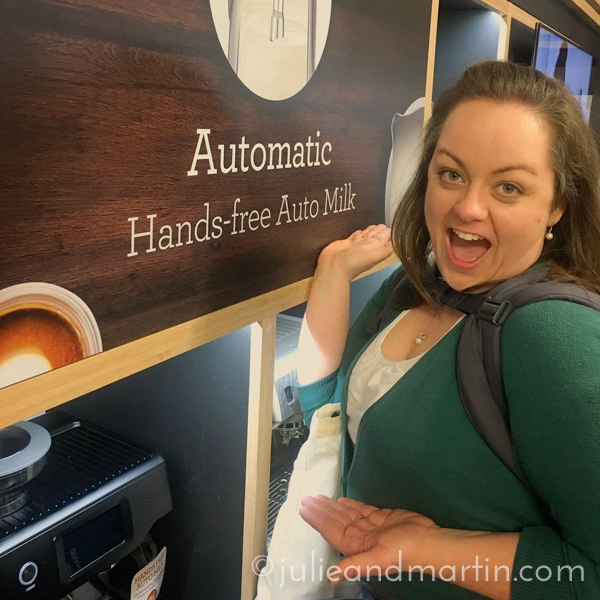 8:29 p.m. – Anyone need automatic hands-free auto milk machines? Anyone at all? 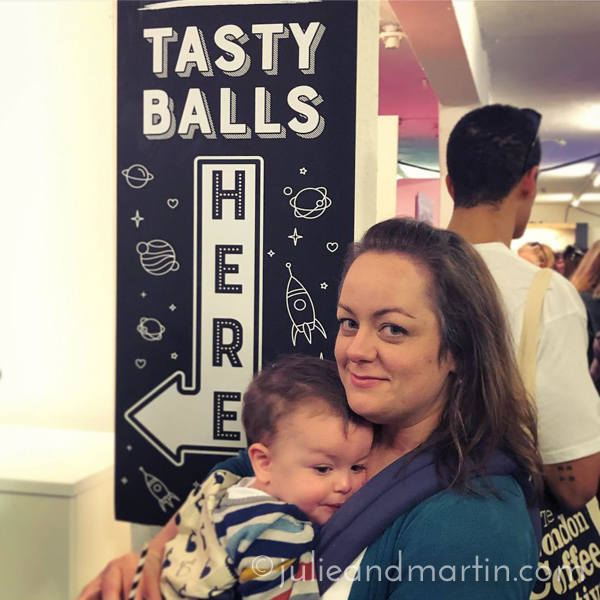 I ended up purchasing five Tasty Balls, and they were, indeed, tasty. (Peanut butter x2, chocolate, maple, and coconut).